Get a Nilfisk pressure washer for half price. Tesco is offering the 1400w washer kit for £59.99, including bottles, foam applicator and spray nozzles. Get 10 per cent off ALA GAP Insurance. HonestJohn.co.uk has teamed up with ALA to offer every reader a 10 per cent discount on Gap insurance. Simply enter the promotional code, HJ15 to receive an exclusive 10 per cent off. £25 off Avon tyres. ATS Euromaster is offering £25 off four Avon tyres of £10 off if you just buy two tyres. The offer ends on the 30 April. Save £1000 on a new Citroen Berlingo Multispace. Citroen is offering savings on all models, which means the MPV range now starts from £12,285. Save £1980 on a new Ford Ranger. Ford is offering almost £2000 off the price of a new pick-up, which means the Ranger now starts from £26,000. Halfords is offering 10 per cent off everything between 12-2pm today. The offer is limited to web orders only and products are subject to availability. Boost your Tesco Clubcard points with Blackcircle tyres. The tyre fitter is offering bonus points on a huge range of tyres, including quadruple points on Michelin tyres. Save £1000 on a new ASX. Mitsubishi is offering savings on all models, which means the ASX range now starts at £13,999. Get two for one on breakdown cover. Green Flag is offering free UK cover for another member of your family with every new breakdown policy. Save money on your van insurance. AXA is 10 per cent off van insurance when taken out via its website. Free breakdown cover. Be Wiser insurance is giving all new customers 12 months free RAC membership with each new insurance policy. Legal assistance and gadget cover is also included, at no extra cost. Get a TomTom for less than half price. Argos has cut a whopping £120 off the cost of the TomTom Start 25 five-inch sat nav, with life time EU map updates. Get 10x more Nectar points. Simply fill up at Sainsbury’s fuel stations to get 10x Nectar point on every litre purchased. The offer expires on 10 May. Free £50 Marks and Spencer voucher. Age UK car insurance is giving new customers a £50 voucher with each new policy. The offer is valid for online transactions only and is not available for existing or recent previous customers. Save £1000 on a new Toyota Yaris. There’s huge savings until the end of June, which means you can get a Yaris Active from £9995. Get cashback on Goodyear tyres. Kwik Fit is offering up to £40 back on two or more car, van or 4x4 tyres. Runflats are also included, with free mobile fitting at home or work. Save up to £1500 on a new Kia. There's a number of deposit contributions available across the range including £1000 on Optima and Soul (up from £600), £600 on Sportage (aside from 'KX-1' and '1' specs) and a whopping £1500 on cee'd. Get 12 months breakdown cover for the price of 10. 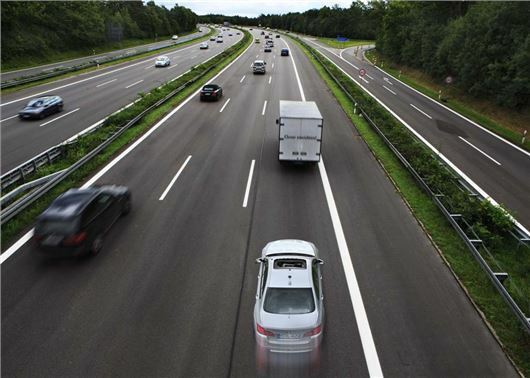 The RAC is offering two months free cover on personal based roadside recovery policies. That means you're covered in any car as the driver or passenger. Get a free hotel break with ATS Euromaster. The tyre fitter has teamed up with Continental to offer free hotel breaks for two when you buy two car or 4x4 tyres online.